In a recent article, it was announced that President Buhari had given the Nigerian Petroleum Development Company ("NPDC") the approval to corporatise its joint venture assets and convert them into Incorporated Joint Ventures (“IJV”). The IJV structure has been floated at least since 2008 when the first draft of the Petroleum Industry Bill (“PIB”) was issued. That draft of the Bill mandated the formation of IJVs with respect to joint ventures between the Nigerian National Petroleum Corporation ("NNPC") and its partners (mostly international oil companies). The IJV was seen as a solution to the perennial difficulties faced by NNPC in financing its share of the joint venture cash calls. This was based on the theory that an IJV was likely to be in a better position to raise money from loan and equity markets. This concept, loosely based on the NLNG model, was resisted by the joint venture partners for a variety of reasons and was removed from subsequent drafts of the PIB. 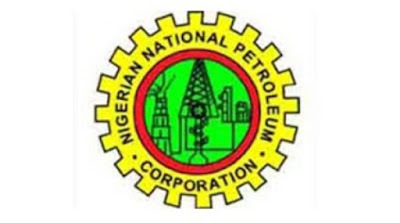 This process is likely to lead to NPDC holding majority shares in the indigenous companies (hence the RTO) and where the shareholdings of the companies are already relatively fragmented, NPDC would be the largest shareholder by a significant margin. This may raise concerns from the existing shareholders in terms of their ability to influence the operations of the new entity. A number of these concerns may be dealt with by putting in place a robust shareholders' agreement which addresses voting rights, pass mark issues and other minority protection mechanisms. A second option which may be utilised to achieve the IJV structure is for both parties – NPDC and the indigenous companies, to transfer their assets and liabilities with respect to that OML to a newly created entity. In this scenario, the shareholders in the new company would be NPDC and the existing indigenous company. The post-transaction shareholding structure should broadly reflect the current participating interest ratio between NPDC and the indigenous company on the asset. This may provide some level of comfort for the indigenous shareholders as they may act as one block, reducing NPDC’s influence as the majority shareholder. It will still be necessary to put in place a shareholders' agreement which addresses minority protection rights. Dr Adeoye Adefulu is an Energy Partner in the law firm of Odujinrin & Adefulu and the Managing Editor of Petroleumindustrybill.com. Adeoye regularly writes on Nigerian energy matters.